Family Dogs Services is a family run business comprising of married couple Claire & John Denyer. “Our mission is to help dog owners get their training right first time and help them correct any unpredictable behaviours that occur during their dogs development" Offering classes, 1-2-1 training and behavioural consultations. When the class goes so fast because both you and your dog are having so much fun, that's when you know you picked the right trainers. Super friendly, approachable and extremely knowledgeable. My dog was very stubborn and went deaf when released from his lead out on walk, and just ran, to the point where I wouldn't let him off. Now Tommy wants to be with me and see what Im up to because weve learnt interesting fun training that we can use anywhere, and from this I've relaxed into letting him back off the lead. We've built up an incredible bond from our training sessions which is touching and I can't thank John and Claire enough. Our first ever attempt at Gun dog training and we love it!! Although a Lab, he was a young problem Lab that another trainer had little faith in. I knew the dog inside was a good one, I just wanted someone to trust in my instincts and the dog. Claire and John did just that and my dog now is going from strength to strength in his training and socialisation and I'm looking forward to competing him next year and any accolades we get will be totally down to the support and help from John and Claire. 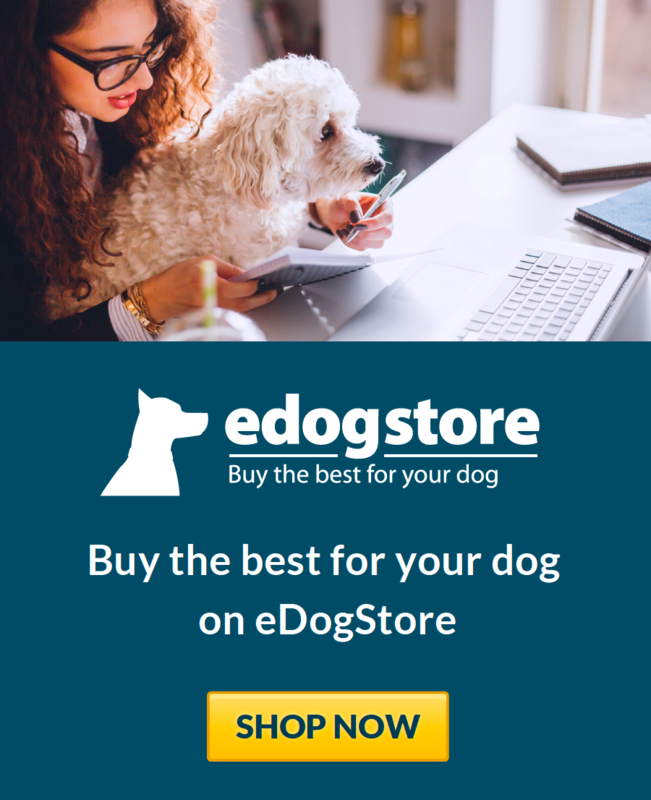 This dog training service I personally think is one of the best. They make training enjoyable and easy to understand for handerler and dog! If you ever get stuck or have any problems they are always happy and quick to give you guidance. I have and will always recommend John and Claire !!!!!!!!!! Highly recommend John & Claire when it comes to training your dog, whether its just basic or all the way to top Gundog standard, puppy to adult. They are patient and helpful and make the training fun with excellent results too. They offer 1 to 1 lessons, small group lessons and workshops. They also benefit from having a large open secure field to train in as well as indoor facilities. Wow where do I start..........John and Claire both know there stuff, they explain everything in detail!! Are very gentle trainers but get great results. A great training ground that’s all fenced of with a gate. I called upon John for a behavioural consultation with one of my dogs, as we had some issues with him I could not iron out. John listened carefully to my concerns and helped me see my way through, and his suggestions, nicely packaged in a comprehensive follow up report, have been of great help. Monty dog and I now attend Family Gundog training sessions, and my bond with my dog has never been closer. Their teaching methods are fantastic - clear, friendly and tailored to each individual dog at class. Would recommend anytime. John and Claire came recommended to us and I have to say these guys are amazing, kind, gentle and full of great up to date knowledge, we are so proud of what our spaniel has achieved. Compared to trainers I have been to in the past Claire and John are refreshingly different using positive reward based training, helping build a life long bond with your dog and training is really fun. Family dog services is run by John and Claire and offer top service to their clients. They run everything from puppy classes, to gun dog classes and everything in between. Whether you are a complete amateur or the more serious trainer that wants to move your handling skills to the next level, they will take you seriously and never make you feel silly or inadequate. Their positive methods get great results. 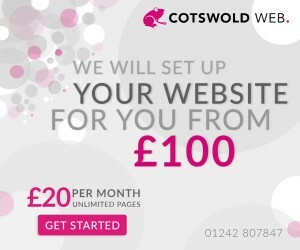 I could not recommend these people enough! Fun, extreemly helpful, knowledgeable and just very nice people in general! I first contacted family dog services for a behavioural consultation for my rescue lab x who was struggling with dog-dog aggression issues as well as generally being a bit of a pain to live with as he was over excitable and lacking any manners. The consultation was really thorough and full of information, which was all sent to me in a follow up document/training plan. This made it easy to continue what I had learnt and put everything into practice. I had a couple of 1-1 sessions to help me along the way and have just made it into one of the group classes! A few months ago I wouldn't have been able to be in the same field as 3 other dogs let alone be working on training with a happy and relaxed dog! I'm so grateful for all the amazing help and look forward to lots more fun training classes and workshops! We have just finished the puppy class and are very excited to be joining for some more classes in the autumn after our summer holidays. As a first time dog owner, the help from John and Claire has been invaluable. John and Claire are absolutely fantastic. I would definitely recommend them. They have done a brilliant job of training me (and my sprocker puppy). 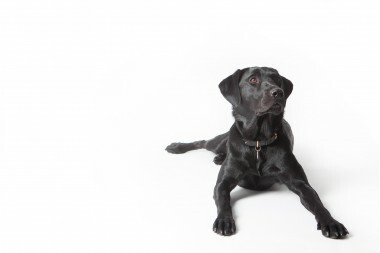 Our black lab, home bred, brother and sister have been training with John and Claire since they were 10 weeks old. Firstly, indoor classes learning all the basics. This was great for both my husband and I as we learnt a lot about having siblings and the potential pitfalls. George and Jazz learnt so much there. We then progressed to improvers classes and these were great fun for all of us, learning lots of obedience skills. Even though we have siblings they are very different personalities and John and Claire always have ideas and suggestions for teaching them new things in different ways. 1-1 sessions are excellent as you can concentrate on specific issues you may be struggling with and we had them at home where John and Claire could see how our dogs interact in their own environment. George and Jazz are now 15 months and are enjoying the outside gun dog classes. We are near to completing the Basic class and hope to go onto the Novice class in the future. John and Claire are professional, knowledgeable, approachable and fun. They offer many different classes at times to suit everyone and also host interesting talks and training days. We highly recommend them both and thank them for all their helpful advice. I recommend John and Claire to anyone who wants training that's fun and rewarding as each week I saw such an improvement in my pup Winston. They help you not only with the training you do in class, but problems and behaviours you might have at home. Family dog services have made training an enjoyable thing for me and my dog. Winston has just completed the foundation course and we can't wait to carry on into their outdoor training classes. Thank you both for the help and advice. Winston and I can't wait to keep training with you in the future! John and Claire are absolutely brilliant dog trainers. They are so supportive, approachable and helpful for new dog owners. My puppy Mavis has thoroughly enjoyed the 12 week foundation course which has helped my partner Tom and I with so many elements of training and bonding with our new pup. The training is educational and fun and with only a few dogs in each class we all get 1-1 support (and extremely helpful personalised feedback each week). We will be continuing Mavis' training with John and Claire and joining their outdoor dog school which we are really looking forward to. I would thoroughly recommend Family Dog Services to all dog owners, John and Claire help to make training really fun for all the dogs and the owners and we have learnt so much together. 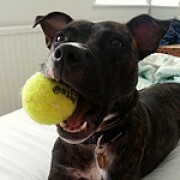 I am very pleased I chose John and Claire to train my 2yr old Staffie, Lexi. Both are excellent at what they do. Lexi and I have been attending the Friday morning group for a few weeks now and the difference in her is obvious. She is so much more settled and walking her is now a joy as she no longer pulls constantly on her lead. They run an interesting and varied class (no 2 weeks are the same) and in lovely surroundings in the Loose area of Maidstone. They are always on hand to give advice, and feedback after every session. They also provide written instructions to practice during the week between sessions. Can't praise them highly enough! I attend both group and 1-2-1 sessions with Family Dog Services with my 23 month old chocolate Labrador. I started with the foundation course which taught both myself and Milo the basic training techniques and now attend the outdoor improvers class which is great fun and very beneficial to us. It's great to practise in an environment where there are many distractions and I learn something new every class. John and Claire also completed a 1-2-1 behavioural consultation at home with Milo as I was having a few problems with attention seeking, barking, jumping up etc. They taught me the techniques to help improve the above and I can honestly say Milo has improved so much. John also walks Milo during the week and Milo absolutely loves going for walks with John. I can relax at work knowing that Milo will be well looked after and will have a good hour of exercising and training. John and Claire are so knowledgeable about what they do and they couldn't offer anymore help and advice. They tailor training specific to your dog so that you can get the best out of it. Highly recommended. 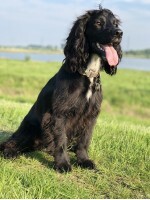 My cocker spaniel and I joined the foundation course 5 months ago, to learn basics. Since starting we are now doing everything Claire and John offer. As an experienced dog owner i was dubious of what they could offer me. We now do outdoor classes and gundog classes too, every single class we learn something new and it's great fun. I always get complimented on how fabulous my dog behaves. If you are looking for general obedience, help with a specific problem or to train your gundog, you will not find such a kind, caring (and great fun) couple! Would not go anywhere else!! We love training with both Claire and John. I attended their foundation class with out lab who is now 20 months old. With time and patience, he learned to settle in an in door class. We are now attending basic gundog training class to help him settle into his learning head outside and with plenty of distractions, in a safe environment. Always plenty of laughs, with Claire, John and other group members. Lots of support and fun. They train my husband and I to help us on the right path. They also treat each dog as an individual and understand that the dogs in the group are learning at different paces, like different variable rewards. They really support and encourage us and our dog. Would highly recommend them to other dog owners. If training wasn't fun, I wouldn't want to do it and definitely wouldn't expect my dog to either. We have been on their foundation class for the past 10 weeks and working on the Gun Dog classes in recent weeks, both Claire and John are brilliant at their jobs, they offer advice and guidance without making you feel silly, I was able to ask questions and not be judged. Our dog has come on wonders, he is responding well to the training and we are very excited about the future as we enter the Gun Dog classes. Excellent Trainers, excellent prices and been a pleasure to meet them. We attend 121 and class training at Family Dog Services with our 2-year-old Golden Retriever. The 121 training is fantastic and really helps to work on areas that we needed help with such as recall. The class training is a great way for our dog to train with the distraction of other people and dogs. Both 121 and class sessions are really good fun for dogs and owners. John and Claire are friendly, knowledgeable and really supportive, they take the time to get to know the strengths and weaknesses of each dog and owner which helps everyone to succeed. John also walks our Golden during the week. She LOVES going for walks with John and we have peace of mind that she is being well exercised when we are at work. Huge thank you to John & Claire! We took our 20 month old English Springer Spaniel Summer to meet John. Initially we knew Summer needed loose lead training as she is not great on lead, however hoped that John would be able to suggest other training too. 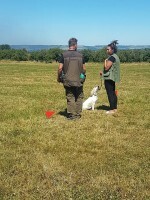 I was very impressed with John's knowledge and his handling when lead training Summer. He was full of patience (whilst I kept making mistakes!) and was constantly giving feedback and further ideas to develop Summer's training. The session included short breaks, which was great to allow Summer to have a play before getting back to work. 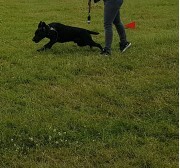 It was great to know that Family Dog Services offer a range of classes, and we hope to be joining the Gundog class once Summer is better on lead.